Manchester United have resolved themselves to sign Mesut Özil and Gareth Bale to settle their foundation going forward on the pitch for the long-term. United’s links with the Real Madrid superstar existed even before the Jose Mourinho era, showing the club’s obvious admiration. On the other hand, the Portuguese is also keen on a reunion with the reportedly ‘unsettled’ Arsenal man. And according to M.E.N. 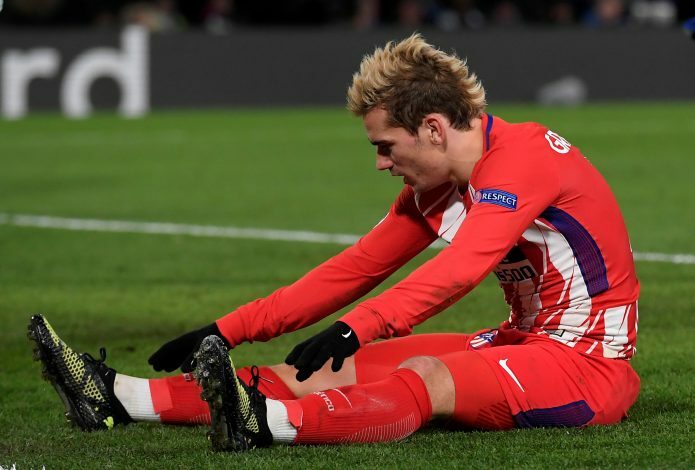 Sport, the Red Devils will make a powerful attempt at securing both of the elite stars, and have ruled out the possibility of importing Antoine Griezmann in principle. According to the report, the Frenchman has made up his mind to make the switch to the Nou Camp, after Barcelona managed to resonate with his personal terms, prompting the Old Trafford outfit to drop interest. Moreover, the Catalans have reportedly discussed the matter with Griezmann’s family as well. The Atletico Madrid talisman was expected to make a move to the red side of Manchester during the summer but the switch eventually failed to materialise due to the transfer ban imposed on the Spanish giants. Meanwhile, Mourinho has rejected the possibility of securing the French international’s services, and has consequently set his sights on a ‘magical’ forward supported by a world-class playmaker; ideally Bale and Özil. Whilst the Welshman is reportedly open to a move back to England, the former Schalke man has been advised to run down his contract in order to complete a free transfer at the end of the season. The ex-Tottenham talisman is currently tied to a contract at the Bernabeu till 2022, and could be a club record signing for Mourinho’s side, whereas the Gunner’s current contract is set to expire in the next six months.